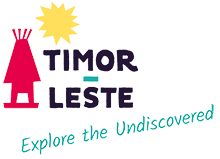 Timor-Leste is made for hiking with stunning scenery, friendly locals and a network of tracks criss-crossing the entire country. From coastal walks to multi-day village and mountain hikes, Timor-Leste has some excellent options. Even close to Dili there is fantastic walking, including the ‘Horta Loop’ – a 2-3 hours circuit from Areia Branca which includes Back Beach and coastal views from the Cristo Rei statue a top Cape Fatucama. From Hato Builico, the three hours guided walking ascent of Mt Ramelau, Timor-Leste’s highest mountain, is a must. Watching the sun rise over Timor-Leste from the summit is a sight not to be missed. In the surrounding hills there are also other great hikes to remote villages and sacred sites. Towards the eastern end of the island, Mt Matebian and the lost world of Mundo Perdido are popular ascents, although much more demanding. To the south is Mt Kablaki in Same district. Other well-known areas for hiking are Lautem, Oecusse, Maliana and Atauro, which have treks ranging from coastal to rugged mountain. Tourism operators in Dili can prearrange some fantastic multi-day walking adventures with transport, accommodation, food and guides or alternatively, on arrival in the districts, trekking guides can be organised by enquiring at the main guest houses. Hiring a hiking guide is a necessity as they know the terrain, hazards, cultural sensitivities and language. You are likely to find out more about the local area and it’s a great way of helping put some money into the community.